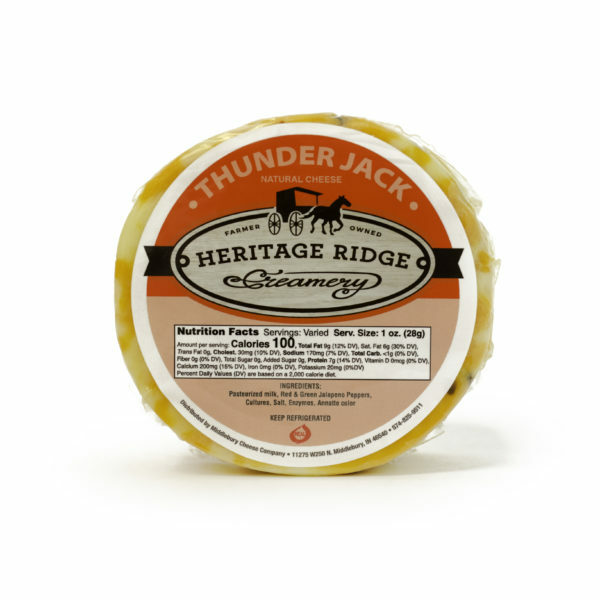 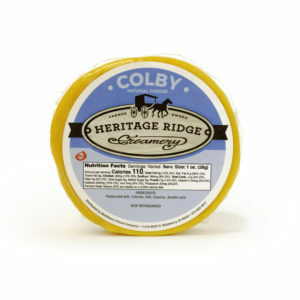 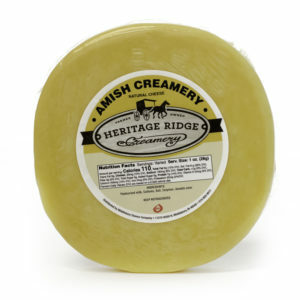 Heritage Ridge thunder jack cheese—crafted on site in Middlebury, Indiana—is a blend of peppers, Colby cheese, and Mont. 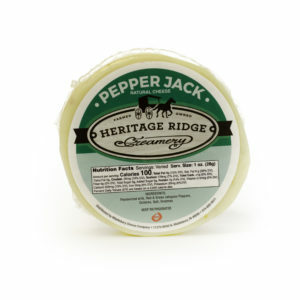 Jack cheeses. 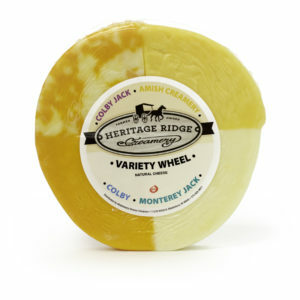 A very colorful cheese that highlights any cheese display. 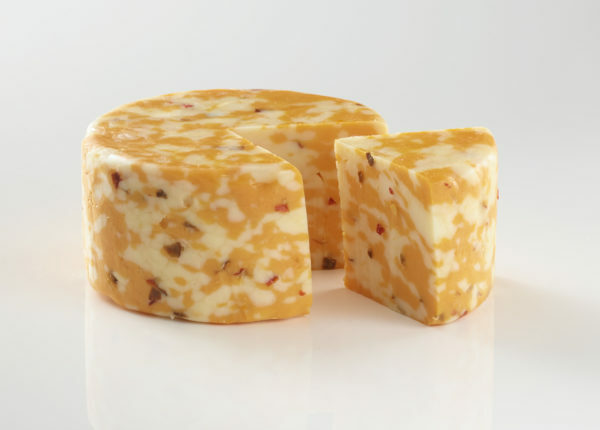 Ingredients: Pasteurized milk, Red & Green Jalapeno peppers, Cultures, Salt, Enzymes and Annatto color.